Billie turned her unhappiness into songs that make the rest of mortals happy. Owner of a voice of peculiar timbre and poor technique but full of feeling, she became the undisputed queen of jazz. 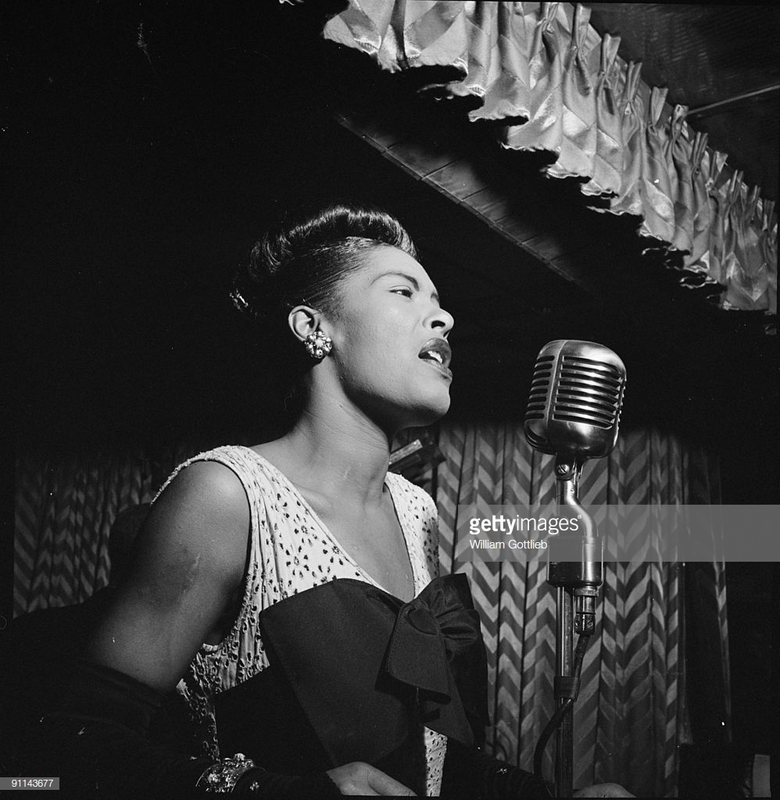 The mere mention of her name evokes in us the image of the black jazz singer, of prodigious voice and turbulent life. It is enough for us to close our eyes and sing one of their moving interpretations to go into ecstasy. Her heartbreaking and somewhat harsh voice reminded me in my adolescence, with the old records that my mother treasured, the image of the black woman who suffered in the depths of her soul a pain that only God could mitigate in heaven. Raped at 10 years and working making beds and cleaning toilets in old brothels was outlined in front of the jukebox following the songs of Louis Angstrom and Duke Ellington. Then she was discovered by a music promoter who launched her to stardom. But hers voice had the heartrending timbre of a desperate black woman who did not know true love. Invaded by drugs and alcohol, she was imprisoned several times by drunk and drug addict and hospitalized. The last song I heard from her "Can not take my eyes over you", already here in Uruguay, her voice, already without strength and tamed by alcohol, hardly distinguished from her songs when she was younger. Lady Blues, as she was called, died of cirrhosis in hospital in 1959 at the age of 44, along with her dog, the only being that accompanied her. Her husky voice is a sad song like a prayer to a Spiritual Creature to rescue her from her inner demons.